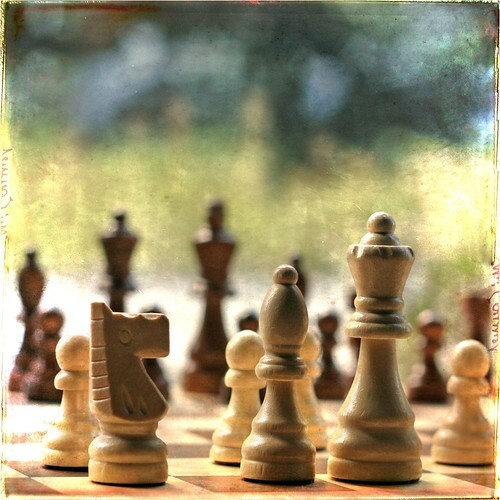 When we first start playing chess, we calculate out all the possible moves we can make and consider each one. We decide on some immediate aim (taking a piece) for which we can see all the moves we need to take to get there. We quickly find there are limits to this approach as our opponent keeps thwarting our aims and we find ourselves in increasingly hopeless position. A chess grandmaster still considers moves but does so in the context of creating patterns and positions they consider strong — ones that give them the greatest flexibility to make a better decision later. When they are making moves they have general ideas about what they want to carry out, but give them the greatest number of options for the future. This is how we should approach any complex problem (starting a business, research, path finding). These problems don’t allow us to see all the moves to the end – and even when we think they do, life often thwarts our goals. Yet, often times we can see a very obvious next step that puts us in a better position to accomplish this goal while still allowing us to pivot to a new goal should the opportunity arise. We don’t know how we will solve the problem, but we know that if we do this or that it will put us in a better place to solve it. Others will challenge us when we take this approach because they want to see the entire path laid out. They’ll ask us why we need to do that. Others won’t want to go on the journey unless they can see the whole path, but all great things done in life are a journey which has no clear and singular path. These goals aren’t simple enough to plot out every step today, they require a thoughtful walk and progress toward them. As Seth Godin recommends in “Linchpin”, we should be willing to give and do things for others even though we have no idea if that will end up benefiting us in the future. We only know it positions us for greater serendipity on the other side. We shouldn’t be afraid when we can’t see the whole path, only have confidence that as we discover more and learn more, we’ll be able to get there.